Available on red or black vinyl, CD or download. The Spook of the Thirteenth Lock expand to an 18-piece electric guitar orchestra on their third album “Lockout”. 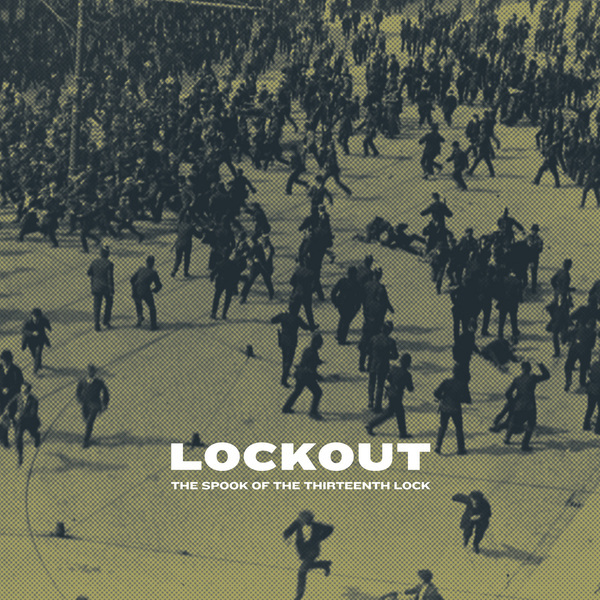 “Lockout” is a grand departure for the The Spook, adding epic volume and scale to the band’s unique sound and a sharper, more political voice. 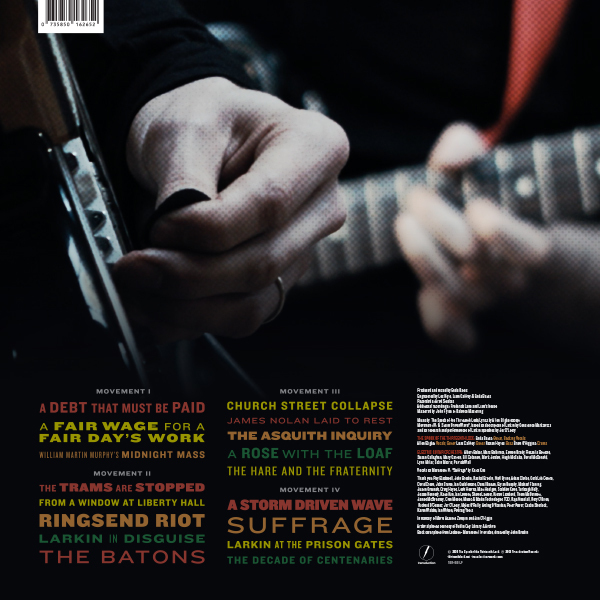 The album tells the story of the 1913 lockout, the struggle of Dublin workers against exploitative working conditions led by Jim Larkin and James Connolly’s ITGWU union. At its height over 100,000 Dubliners endured food scarcity, with employers refusing to follow government recommendations for a fair compromise. They successfully broke the strike, starving employees back to work, and refusing to reinstate those whose jobs were taken by ‘scab’ labour. 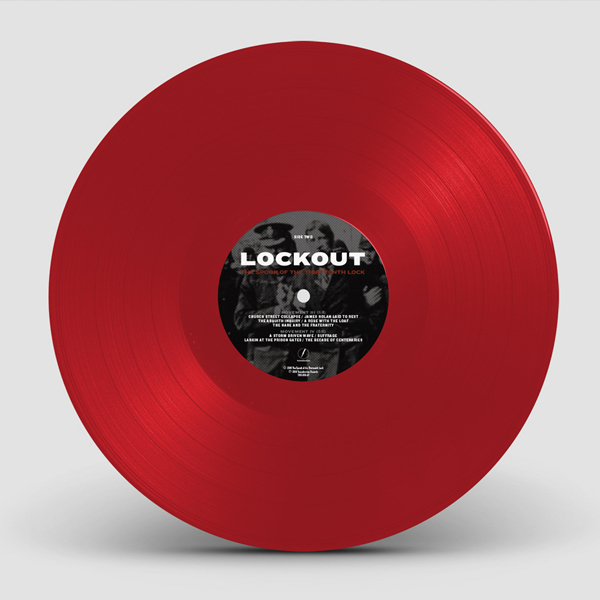 Inspired by the recent centenary, “Lockout” combines elements of Irish traditional music with a powerful wall of electric guitars, creating a dramatic sound which climaxes with Jim Larkin’s immortal call to arms: “The great only appear great because we are on our knees: Let us arise!”. On “Suffrage”, the band are joined by Katie Kim on vocals as they mark the 2018 centenary of the women’s right to vote. The song tells the story of how Constance Markievicz, the first British female MP, and the Suffragette movement fed the starving workers and families in the kitchen of Liberty Hall, the iconic Irish union building. “Lockout” gives insight into the state of Ireland today in the so-called decade of centenaries in which it defined its independence. It strives to reflect the anxiety and anger of then and now, and the cynicism and hope of these times of upheaval.